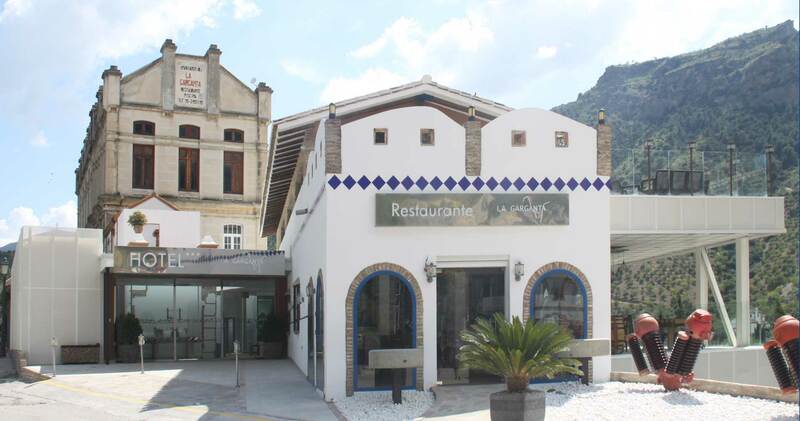 La Garganta is an old flour factory 100 years old, remodeled to offer the best services. 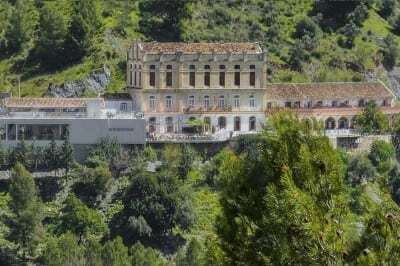 Located in the Desfiladero de los Gaitanes Natural Park, right at the south exit of Caminito del Rey, it is the perfect place in the interior of Malaga for your event to be unique. 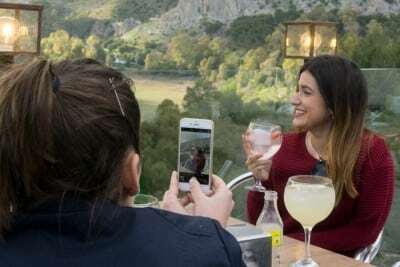 We have 3 terraces with panoramic views of the Caminito del Rey and 2 lounges, with a total capacity of 250 people and different environments for snacks, meals, drinks, etc. 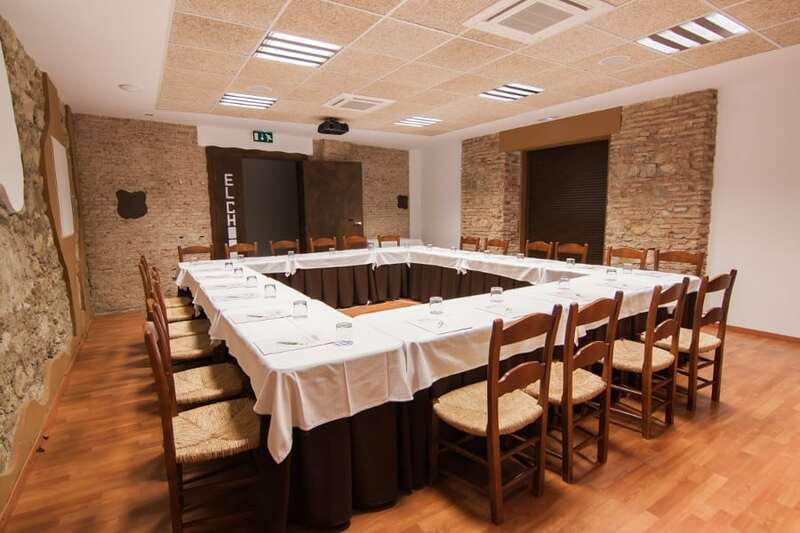 We also offer a multipurpose meeting room service and our hotel with 25 very special rooms. 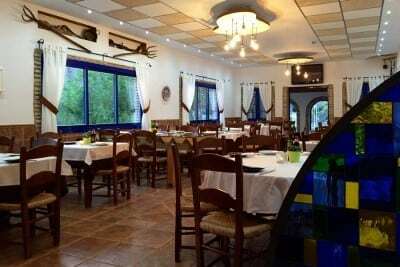 We have two rooms that can be customized for each event in our restaurant, accommodating every detail. On the upper floor with wooden ceiling and rustic design we have capacity for 80 people. As it is located on the first floor it ensures privacy and independence. At the entrance to the restaurant, on the ground floor, is lounge with capacity for 60 people. Innovative design and totally accessible. You can choose between three terraces of our restaurant with panoramic views to the Caminito del Rey, located on two floors. First roofed terrace, ideal for those who do not want a sunny day and for those who like to be outdoors in the rain. A capacity of 70 diners is ideal for groups who come to enjoy the Caminito del Rey. 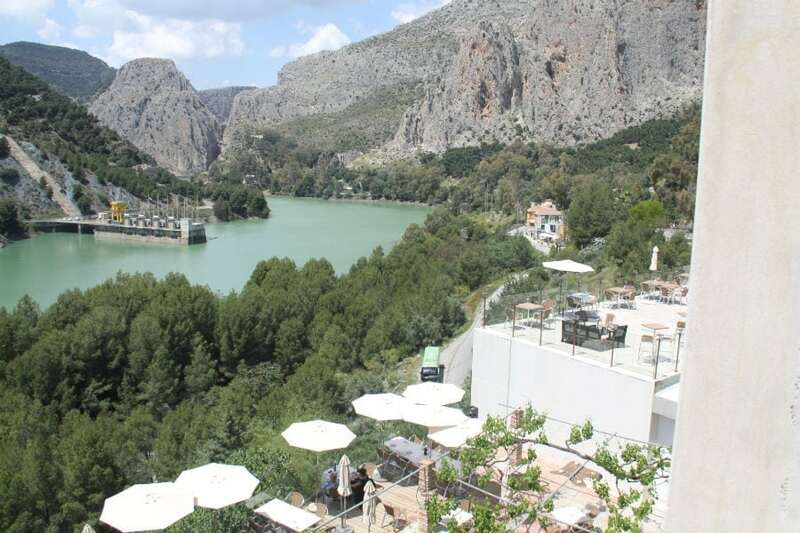 Their lunch is with stunning views of the gorge itself. A terrace under a grapevine makes us immerse ourselves in the middle of nature. This has 110 seats. For our capacity of up to 150 people you will find a single terrace that runs along the first floor. 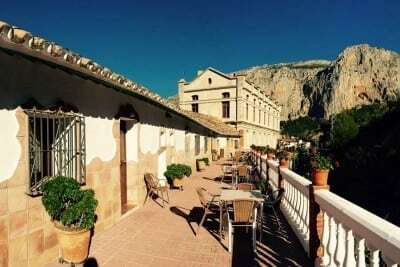 With access from the staircase inside the restaurant, it is the perfect combination to be the place of aperitif and drinks for your lunch in the upper lounge, as they communicate perfectly with two doors and are completely separate from the rest of the restaurant. 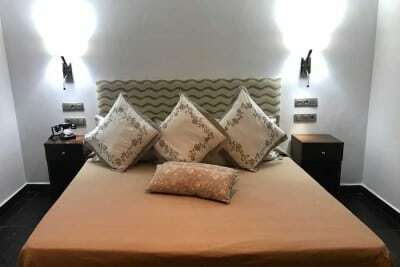 We have 25 rooms available for our guests, with a maximum of 60 beds. The rooms for two people are distributed over two floors, while the four-five rooms occupy a single floor on which all the rooms are distributed. All have their own bathroom and lounge. The two-bedroom rooms also have a kitchen. To make your event more comfortable, ask us about other open spaces available, such as parking, a swimming pool solarium for ceremonies, an esplanade with a tent, etc. We help and advise you with the details of the event. 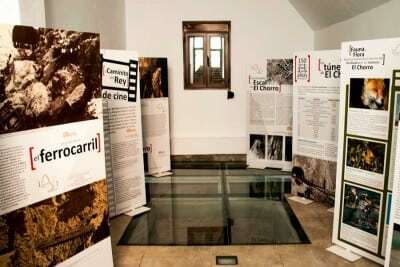 Do not hesitate to ask us: we are committed to the success of your event. We organize all kinds of family and business events. Company meals, multi-day incentives, weddings, communions, birthdays, everything personalized thanks to an experienced and committed staff. We will ensure that your stay in this space meets all your expectations and is just as you dreamed it.